Who else loves The Avengers? You know I do! 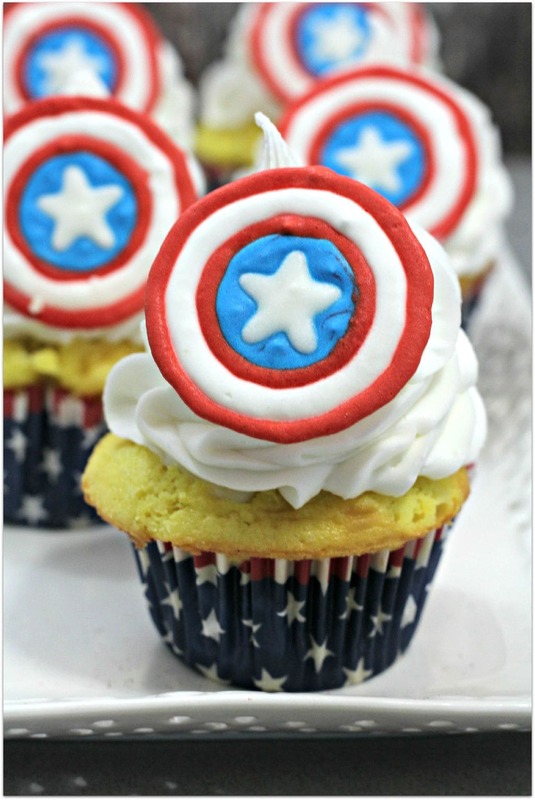 With Captain America: Civil War coming out in May of 2016, I thought we would get ready for the celebration now with some Captain America Cupcakes. There are a lot of steps to this recipe, but it is not hard to do! Keep in mind that you want to make the “shield” in plenty of time so it can dry 5-10 hours. I’d love to see your creations! -Cream the margarine with the sugar in a mixing bowl. -Sift flour and baking powder in a second bowl. -Add eggs one at a time, mixing after each addition to the margarine and sugar mixture. -Add vanilla to the same mixture. -Alternate adding the dry mixture and the whole milk to the wet mixture. -Begin and end the addition with the flour mixture. -Mix well to make sure all ingredients are well mixed. 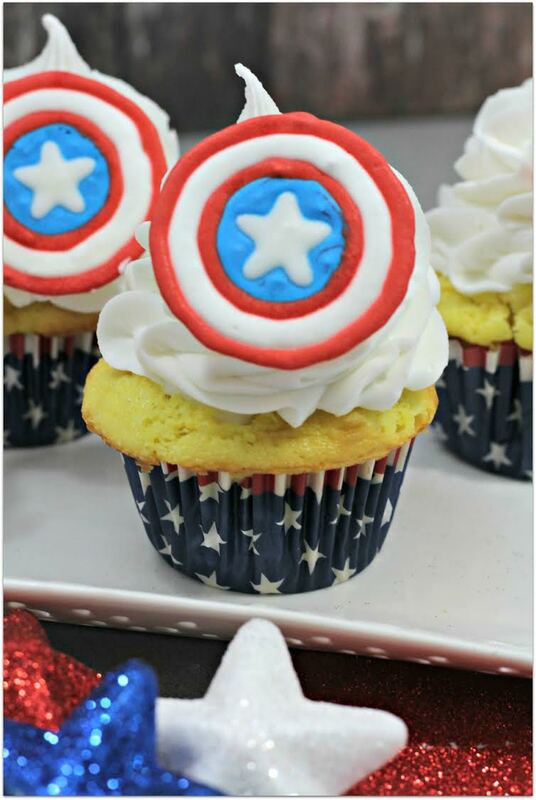 -Using a large ice cream scoop add the batter to the paper lined cupcake tins. -Test to see if the frosting can form and hold a stiff peak by taking a spoonful of frosting and turning the spoon upside down. If the frosting stays on the spoon it is ready. If not then…. 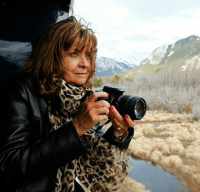 – Add more powdered sugar 1/2 C at a time…. mix well. 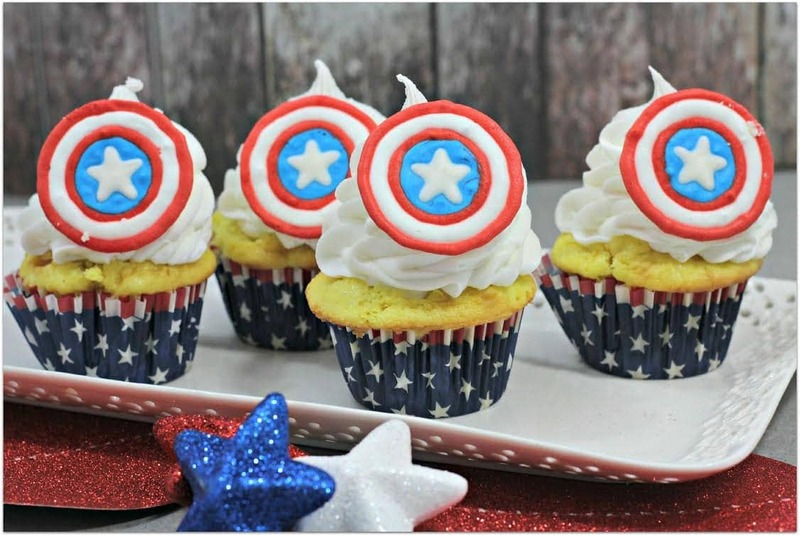 – Divide the icing equally into 3 bowls. -Add several drops of red gel food coloring in the large bowl (#1)of icing. Stir well to mix the color. -Add several drops of blue gel food coloring in the large bowl(#2) of icing. Stir well to mix the color. -In bowl #3 the icing stays white. -Locate a picture of Captain America’s Shield on Google. Print a picture of several of Captain America Shields in color. Tape this picture to a cookie sheet. -Tape wax paper (covering the copies of the shield) to the cookie sheet . Follow the color and features as printed on the paper. -Using a small pastry bag fill with the red royal icing and a #2 tip. Start by outlining the shield first. Fill in the 1st stripe with the red icing. Allow this to dry for 30 seconds. -Using a small pastry bag fill with the white royal icing and a #2 tip. Outline the 2nd circle in the shield with white. Fill in the 2nd stripe with the white icing. Allow this to dry for 30 seconds. -Using a small pastry bag fill with the red royal icing and a #2 tip. Outline the 3rd circle in the shield with red. Fill in the 3rd stripe with the red icing. Allow this to dry for 30 seconds. -Using a small pastry bag fill with the blue royal icing and a #2 tip. Outline the 4th inner circle in the shield with blue. Do not fill in the area for the star as displayed in the picture. Fill in the rest of that area with the blue icing. Allow this to dry for 30 seconds. -Using a small pastry bag fill with the white royal icing and a #2 tip. Outline the star in the center of the shield with white. Fill in the star with the white icing. -To ensure that the image is dry, gently touch one of them with your finger. If it allows you to push in on the icing, allow it to dry more. If the image is dry, it will have a hard feeling not allowing you to push in on it. –Once the image is dry, carefully peel the wax paper off of the back of the images. 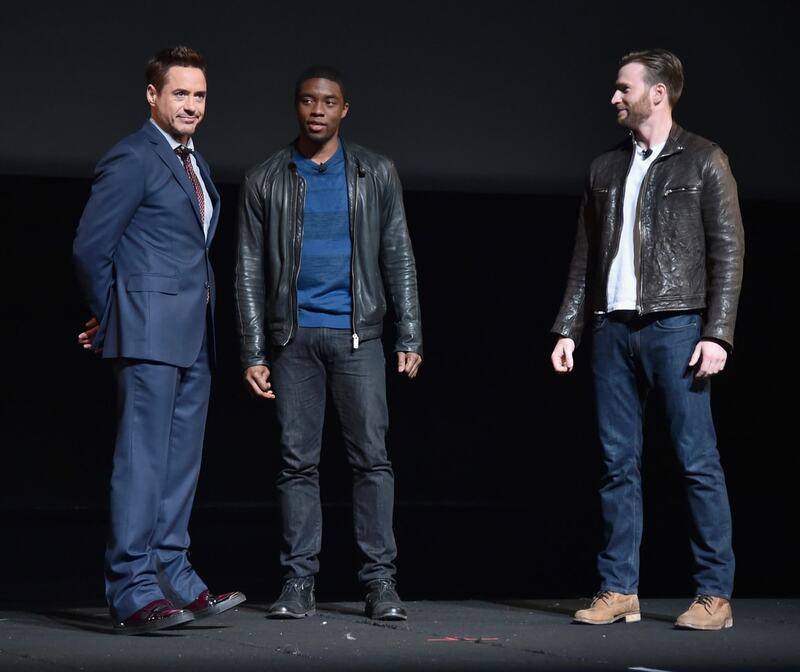 Remember, Captain America: Civil War comes out in May! I’ll bring you the trailer the minute I get it from Disney! Want to see what else is on the horizon for live action films from Disney? Check out my post from the live action panel at D23 Expo where it was all announced! See what’s in store for animated films in my post about new films from Pixar and Walt Disney Animation Studios!